A wristband is required to receive an autograph. Attendees are urged to be in line well before the store opens at 8:00 a.m. to receive the wristband. 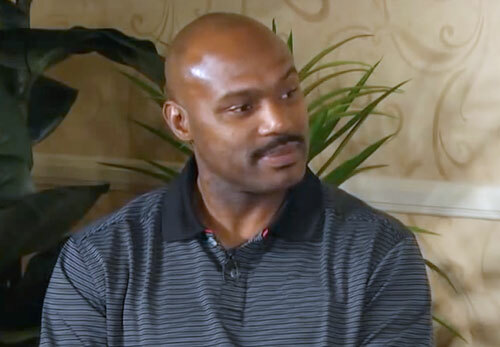 Tim Hardaway is an NBA coach and former point guard who played for the Golden State Warriors from 1989–1996, the Miami Heat from 1996–2001, the Dallas Mavericks from 2001–2002, the Denver Nuggets in 2002, the Indiana Pacers in 2003 and the Florida Pit Bulls in 2006. After his playing career Hardaway was a coach for the Florida Pit Bulls from 2005–2006 and currently he is assistant coach for the Detroit Pistons. Hardaway is a five-time NBA All-Star for 1991–1993, 1997 and 1998 plus All-NBA First Team for 1997. Sports Speakers 360 is a booking agent for pro athletes. If you would like to book Tim Hardaway for a speaking engagement, appearance or endorsement, contact a Tim Hardaway booking agent for fees at 1.855.303.5450.